A baby girl has been delivered by a group of passengers, which included a doctor and retired midwife, after her mother went into labour mid-flight. Baby Nadine was born six weeks prematurely before flight BA 215, from London to Boston, could land at the nearest airport in Halifax, Canada. "The mother was fine but baby was very small, so it was touch and go," said crew member Kam Dobe. The baby's mother was thought to be Egyptian, travelling on a US passport. She went into labour five hours into the transatlantic flight. It is understood that the baby was delivered by a group of passengers which included a doctor, a retired midwife, two nurses, a female crew member and a medical student from the UK. Mr Dobe said he had noticed the woman looking "uncomfortable" during the pre-flight emergency procedures demonstration. "She was clearly pregnant and I could see she was a bit uncomfortable. But I thought she was just scared of flying," he said. "We have an action plan for these sorts of things. We didn't tell passengers someone was giving birth, but we did say there was a medical emergency and called for any doctors to come forward. "The mother was fine but baby was very small, so it was touch and go, but she was so small that it was quite an easy birth." The baby remained on board after the plane landed until an incubator was delivered, while her mother was taken off the plane in a wheelchair. 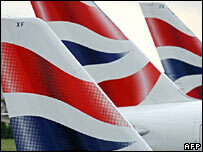 BA restricts travel for expectant mothers beyond the 36th week, in the case of an uncomplicated single pregnancy. A BA spokeswoman said the captain took advice from the airline's ground medical service to divert to Halifax because the mother was in "some distress". She continued: "However, the baby was born before the aircraft could land. The mother and child were taken to an airport medical facility."